BSE UK recently completed a job for Robbins Timber, a well established timber company providing a range of plywoods, hardwoods, softwoods and associated products. Their warehouses fulfill orders worldwide and are packed with a range of different products. 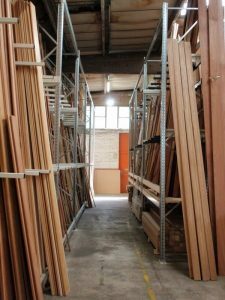 The objective was to supply, deliver and install a vertical racking solution to keep their timber products stored safely, as well as being better organised for improved stock control and faster, more efficient picking. BSE implemented Dexion vertical storage racking on their site, this type of racking is designed to make use of overhead space and is suitable for tall items. 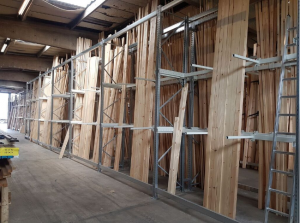 Using this type of racking allowed for the timber to be stored vertically, reducing the risk of damage and consumation of space that comes with horizontal storage. Holding stock of several different types of hard and soft woods, the racking system was fitted with 2 adjustable beam kits pictured below. 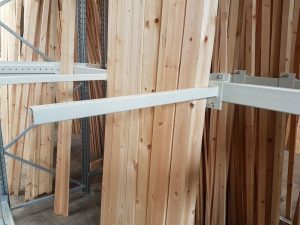 These adjustable beams not only help support the wood to avoid damage from leaning, but also allow for the separation of products to keep them better organised; with plenty of room inbetween the racking for warehouse operatives to pick and deliver items. 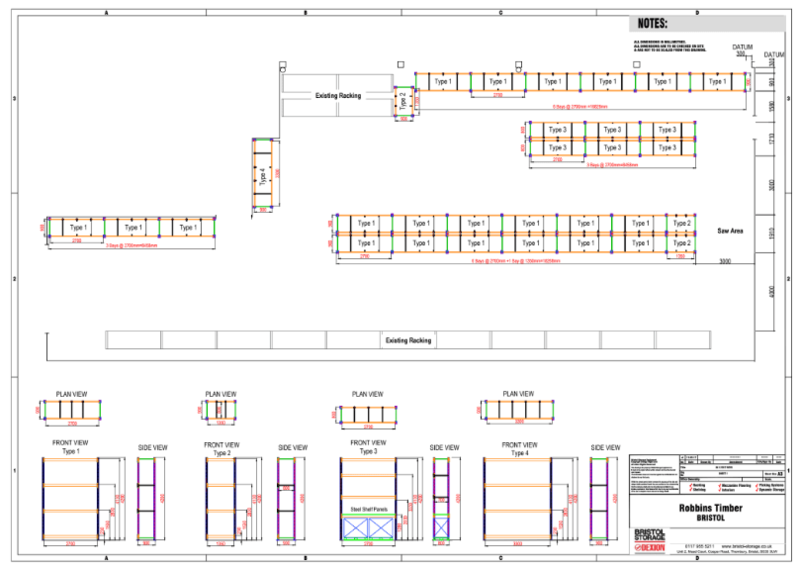 Bay Type 1 – 4200mm high x 2700mm clear entry x 900mm deep – 6 dividers bars over 2 levels. Bar Type 2 – 4200mm high x 1350mm clear entry x 800m deep – 4 divider bars over 2 levels. Bar Type 3 – 4200mm high x 2700mm clear entry x 800mm deep – 6 divider bars over 2 levels. The storage level for bay type 3 was set at 1280mm and fitted with steel decking panels to allow for storage space underneath. Bay Type 4 – 4200mm high x 3300mm clear entry x 900mm deep – 8 divider bars over 2 levels. 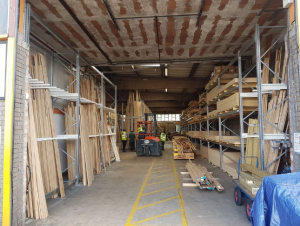 Another happy client for BSE UK – Robbins Timber can now rest assured that their timber is stored as efficiently as possible, maximising space in their warehouse. If you have any questions regarding vertical racking systems or are looking for a reliable storage expert to help you with your next project, give one of our expert team a call on 0117 955 5211.